Take a look at this very homemade diagram of a set of points in each of its two possible positions. 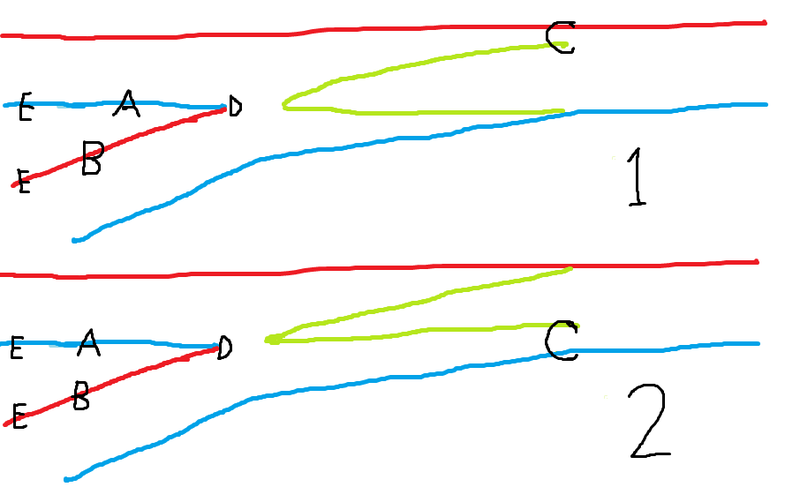 If we take blue as electrically negative and red as positive, then we can see that regardless of which way the points are set, rails A and B meet and thus cause a short circuit. This kind of points is called "electro-frog". You might think that all one had to do was to separate the rails at point D so that they would not be touching. Such an arrangement is commercially available and is referred to as an "insulated frog". However, that small separation might lead to trains stopping at slow speeds because they might lose electrical connectivity as they go over the gap. However, I am beginning to think that such a small risk would be worth the avoidance of what one has to do so as to deal with the above mentioned short-circuit at D. To avoid the short circuit one has to isolate both rails A and B at the points marked E in the above diagram. That leaves them with no power. One has then to connect power through a wire to A and B. Sometimes A and B will have to both be positive and sometimes they will have to both be negative. In diagram 1) they will have to be negative and in diagram 2) positive. Therefore, a switching device has to be installed to achieve that change of polarity - what a nuisance. 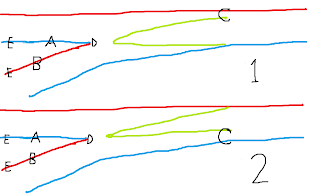 Another problem, apparently, is that a wheel passing at C in the above diagrams can sometimes bridge the gap between the green rail and the main rail. That can cause a short circuit too. If it happens! One has to carry out a similarly circuitous re-wiring of the points to avoid this possibility. Short-circuits must be avoided in DCC train sets because they can blow the chips in the locos. Options: either pack up all my sets of points which are basically unused and see if I can persuade the model shop to swap them for "insulated frogs" OR face up to all this re-wiring!!!!! Perhaps Kevin McCloud of Grand Designs could come in at this point and say, "Tony had hoped to have his layout up and running by the Spring of 2012 but, it seems to me, that he'll be lucky to have it ready by the Summer. He should really have had a project manager involved from the start instead of trying to do it all by himself." 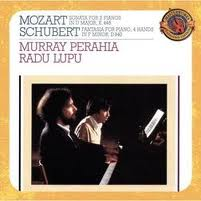 On a whim went to a recital of Schubert piano duos at the Royal Conservatoire of Scotland. Packed house and tremendous performances by the pianists who were, all four, members of staff. Visually interesting too. The first pieces were played by a very slim and slightly maniacal Scotsman, Graeme McNaught paired with a statuesque Korean lady, Sinae Lee. At least they had a piano each! The Fantasie was performed by two quite big chaps (Aaron Shorr and Fali Pavri) who shared a piano - fingers intermingling all over the place. They had no room to place both piano stools end on to each other so one stool had to be turned at right angles. As always, the page turners fascinated me. Would they lose concentration and forget to turn a page or accidentally turn two pages at the same time? 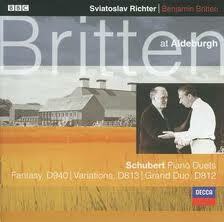 And a most compelling live performance by Benjamin Britten and Sviatoslav Richter.